Medical emergencies often come unannounced. They come at a time when you least expect them. We do our best to be prepared for the unknown and the unseen. However, this is not something we can control. This is one of the major reasons we invest in insurance. Some people do and some don’t. If you are not prepared, when an emergency strikes and if you are short of funds, your worries will multiply ten folds. Say, for instance, everything is going smooth and fine, you have just come back from a vacation with your wife and kids, and have joined work, and the very next day you are awakened by your mother’s phone call stating that your father has had a heart attack. If you stay in the same city, obviously, the first thing that you do is rush him to the hospital. If you stay in a different city, you rush home to your family immediately and then take the fastest route to your hometown. But what next, especially suppose the doctor tells you that your dad has some blocked arteries for which a bypass heart surgery needs to be done. Depending upon the city to city, and hospital to hospital, this kind of a surgery, including hospitalization cost, can range anywhere between Rs 3 to 5 lakh. What if you don’t have that much dispensable cash with you? Do you break your fixed deposits or eat into your savings funds? If need be, you must. But guess what, there is a far better option compared to breaking your FDs. 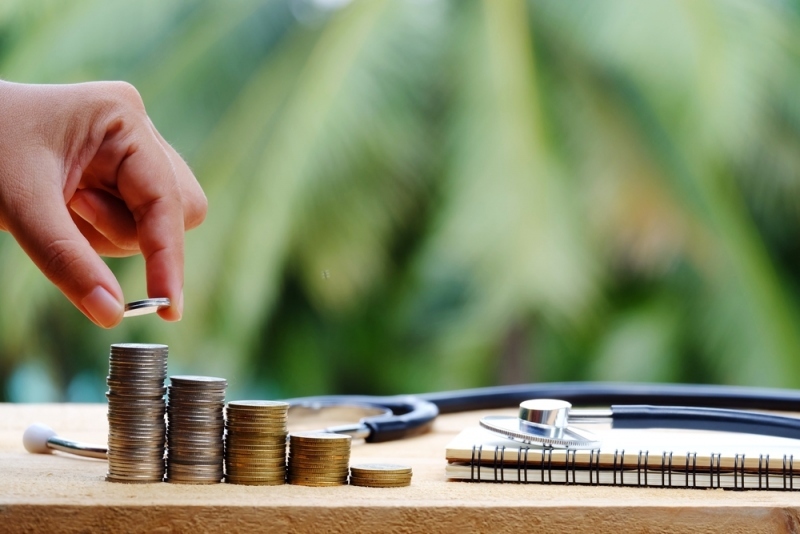 You can opt for a medical loan from a financial institution like Tata Capital. A medical loan is kind of a personal loan for medical emergency. You get the funds immediately: As discussed above, medical emergencies arrive suddenly without notice, leaving you very little time to plan things out. The crisis is almost immediate, and funds have to be arranged immediately, too. Good news is, the disbursement time for this kind of a personal loan for an emergency is very less. The documentation is basic. In financial institutions such as Tata Capital, all you need is an address and identity proof, last six month’s bank statement, and income proof with latest Form 16, alongside the application form with your photograph. Once you submit these documents, your loan will be sanctioned within 72 hours. Therefore, if you have these basic documents in place, getting approval for a medical loan is actually no big deal. Pay your bills the way you like: Many times, some hospitals or vendors may not accept credit cards for payments. But if you have a personal loan, you will get funds instantly. So, even if the hospital doesn’t take cards, you can always withdraw the medical loan amount given by the bank or financial institution, and pay the hospital in cash, or maybe write a cheque or even have the flexibility to transfer money online. There are multiple options. And at the time of crisis, when your dear one is suffering in the hospital, the mode of payment is the last thing you want to worry about, isn’t it? Cheaper than a credit card: Financial institutions such as Tata Capital offer medical loans at cost-effective rates, and they are actually much cheaper than swiping your credit cards. In times of emergency, a credit card may seem like an easy option to pay your bills, but come to think of it, you actually end up paying up to 42% interest on your credit card. Medical loans come much cheaper at around 12 to 25% interest rate. What’s more? For credit cards, there is always a limit up to which you can swipe your card, but if you need more money than what your credit limit allows? It’s not easy to get the credit limit increased within one or two days. That’s where a medical loan comes in handy. If you take a loan of a substantial amount, you will not have to worry about any limit. When someone close to you is undergoing treatment in a hospital, you don’t want to be sitting and calculating costs, do you? Repay in easy installments: You can repay your medical loanin monthly installments. Based on your monthly income and financial responsibilities, choose a tenure for the personal loan. The higher is your tenure, the lower is your EMI; the lower is your tenure, the higher is your EMI. Once you assess your monthly income and expenditure, you will be able to arrive at a decision about how much you can spare as EMI for your personal loan. Select your medical loan tenure accordingly. Banks and financial institutions usually offer one to five years of repayment tenure. If your EMIs are hassle-free, your debt burden will not only be lower, your life will be easier. Medical loans are the helping hand that you so desperately need in a time of an emergency. While a loan may sound like an additional debt, you need to understand the reason behind availing a loan. With a systematic approach, you can pay your EMIs without the burden of debt. If you find yourself in such a situation, don’t shy away from the idea of a personal loan for a medical emergency. It can, after all, save someone’s life. Why People Think Noopept As The Best Nootropic?